The Ringling Bros. and Barnum & Bailey Circus is an extraordinary production that has been entertaining young and old for generations. This great family fun entertainment full of non-stop thrilling and exciting acts, is just what a circus should be and more, always a favorite of ours which consistently features in the first weeks of the year. 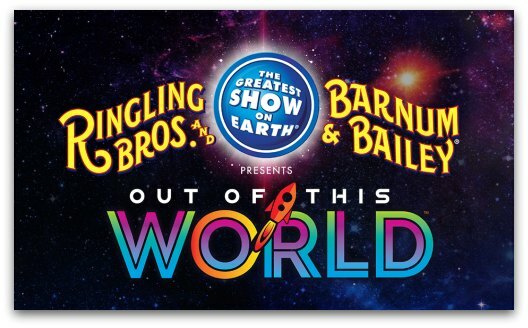 This year, it is no exception, when the circus will be in town on selected dates at the American Airlines Arena from January 6 to January 15, 2017 with their new show "Out Of This World". The troupe of talented acrobats, dancers and clowns perform their stupendous acts. And there is much more to the magnificent act. We enjoy the Preshow and Animal Open House just as much or perhaps even more than the show itself, which are bonuses included with your entrance ticket. At the Animal Open House which starts 90 minutes prior to Show Time, you can get a close view of some of the main animal stars of the show. Not only that, you get a chance to learn about the different conservation efforts and care standards at the circus, how the animals live and travel, questions often asked by animal lovers. And don't forget to leave some time for the PreShow Event which starts one hour before Show Time. The All Access Pre Show-Event takes place at the arena itself and this is where kids (and mom and dad) can mingle, take pictures, and get autographs from the cast, the two and four-legged ones! 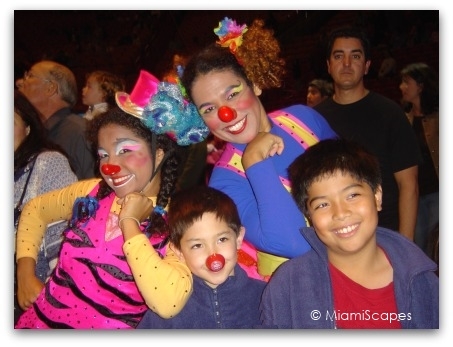 Clowns and acrobats are there to teach you how to juggle or perform some cool tricks. The PreShow starts an hour before Show Time, you should try to be there as early as possible specially if you want to get some pictures. As expected, it tends to get crowded at the end right before the show when all the crowds descend. When? January 6-15, 2017. See schedule below. How Much? Ticket prices start at $24.95.